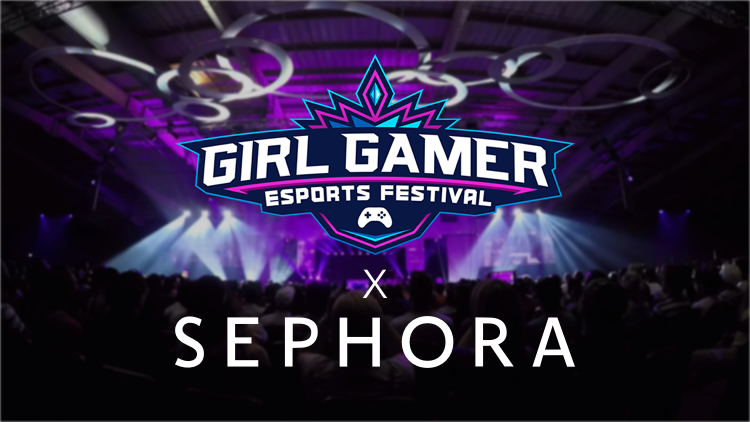 Multinational Beauty Retailer, Sephora has announced a new partnership with the GIRLGAMER eSports Festival. This sponsorship marks Sephora’s debut into the realm of eSports. Sephora may not seem like an ideal sponsor for eSports, since eSports has been an attractive avenue for marketers to reach young millennial men, with 70% of eSports fans being male according to Nielsen’s eSports Playbook. However, the GIRLGAMER eSports Festival focuses on the celebration and promotion of women in eSports, providing a natural fit for the beauty brand. With this partnership, we can see opportunities for Sephora to potentially diversify their product line with eSports collaborations as seen in the past with luxury beauty brand Shu Uemura which partnered with Nintendo for a line of Super Mario Brothers inspired products in 2017. Additionally, we can see the intersection of Cosplay and eSports fandom growing; providing an opportunity for Sephora to appeal to a new demographic with their products and services. CALM - Campaign Against Living Miserably, an award-winning charity dedicated to preventing male suicide, launched the Mark your Man Campaign is to be released in coincidence with the World Cup. It is a multi-layer campaign including short videos to be released over social media throughout the cup. As well, in partnership with Tesco's F&F clothing range they created a "two part" t-shirt that forms a St. George's Cross (the traditional symbol of the England team) but only when two wearers stand together. F&F will donate one pound from the sale of each six-pound t-shirt to CALM. Suicide is the leading cause of men aged 45 and under in the UK, with 12 men a day taking their lives. They campaign focuses on being an all-around mate and calling up your buddies for more than just grabbing a pint, but to check in and make sure they are doing well when you suspect or worry about them. Throughout the videos released they address how men don’t question when their mate gets emotional at a sporting event, however don’t feel comfortable to talk to them about their emotions when it isn’t sports related. This is CALM’s second campaign released lately to battle mental health awareness in men across the UK, the first featuring 84 men on-top of a building blindfolded and about to jump off the edge. Jun 15 MKTG Welcomes New #Humans: Meet our MKTG Interns!